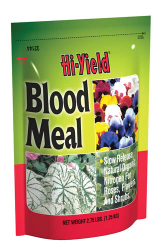 For use on Pansies, Roses, flowers, trees, shrubs, and vegetables. Provides a slow release form of natural Nitrogen. Aids in plant production of top growth and deep green foliage.